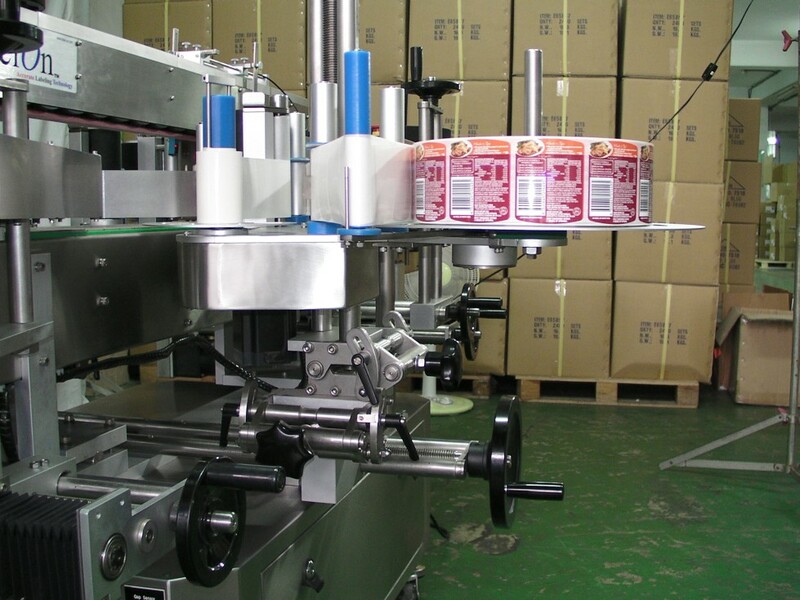 The LabelOn™ Modular represents a machine concept born from extensive labeling experience.This experience involved design, sales, and overseas distributor establishment. Distributors in over a dozen developed and emerging economies enjoyed remote servicing, sales support and frequent visits. 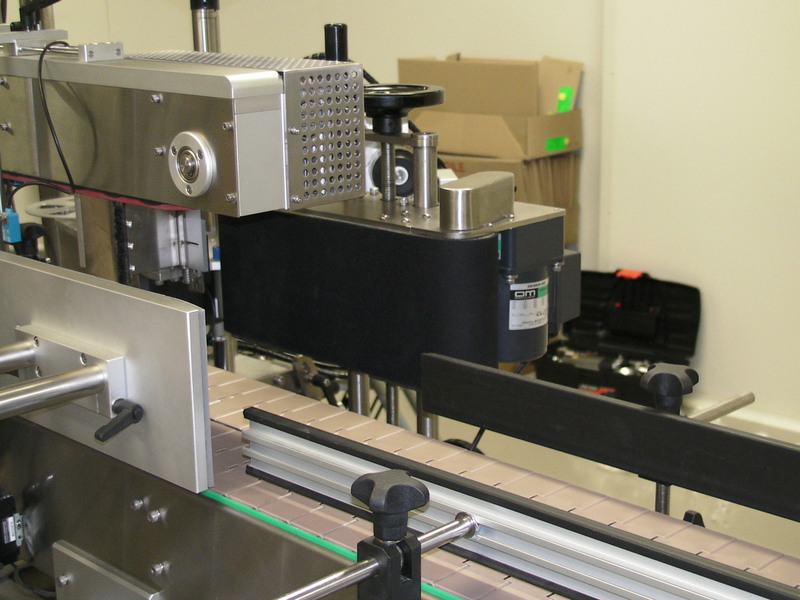 What you are seeing is the result of that experience – the LabelOn Modular label applicator. 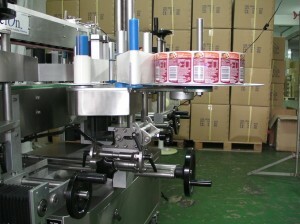 It is a labeler that can be sold and represented throughout the world. This machine is manufactured and configured in modules to cover a vast majority of the most common labeling tasks. 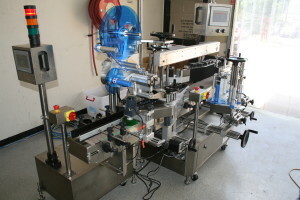 This LabelOn Modular machine has modules available to label front and back labeling of Flat Sided Bottles , Oval Sided Bottles and Round Bottles or Jars. 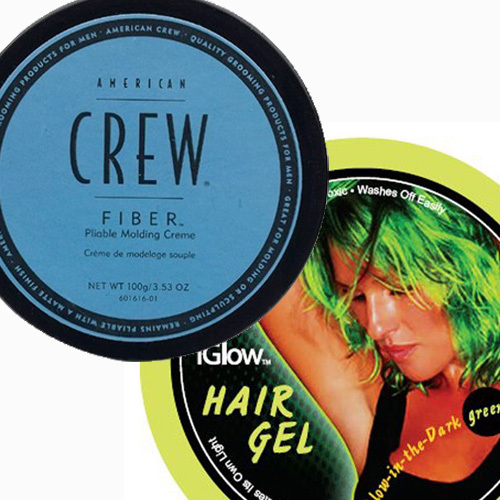 The Round products can have a single label of up to 100% Wrap label. 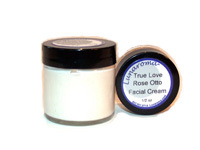 The Round bottles can also have their label or labels placed; orientated to a reference feature or mark like a bottle handle or a pre-existing label. 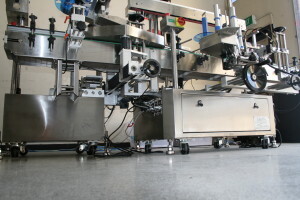 Adding to this impressive configuration of modules is the Extra Labeling System or E.L.S. – seen here ready to label the top of a product as it passes through the LabelOn Modular machine. 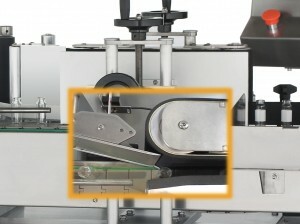 On its own the ELS is an impressive piece of labeling equipment, capable of placing spot labels from Above, the Side or On to angled panels like necks of bottles. 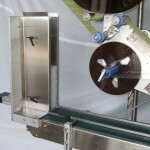 The ELS can be wheeled up to existing conveyor lines to work in a Stand-Alone Capacity. 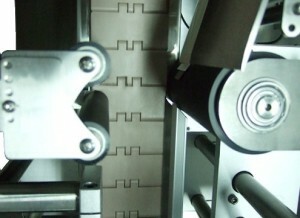 However, the real ingenuity of the ELS is its design to “dock” with the LabelOn modular machine and synchronize to the modules of the main machine. Even its controls are passed over to the Main LabelOn modular unit. 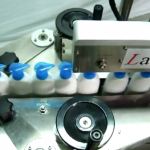 Clients, like contractors with multiple lines, will appreciate having one or two ELS systems that can dock in minutes to one of their more numerous LabelOn Modular machines for when promotional spot labels are required; say on the neck of the bottle or even its cap. 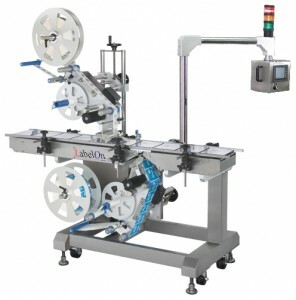 For a given labeling task the required modules integrate smoothly and present a machine that has the adjustments and feel of a machine that was dedicated to that task. Adjustments are easy to make and self-evident in most cases. These adjustments are easy to record and replicate for future runs. Extensive 3D mechanical records, and comprehensive electrical records of each machine enable over the phone and internet based sessions to quickly identify service items or parts. To date, we have not come across a service requirement where a LabelOn technician had to attend on site; it was all handled remotely. 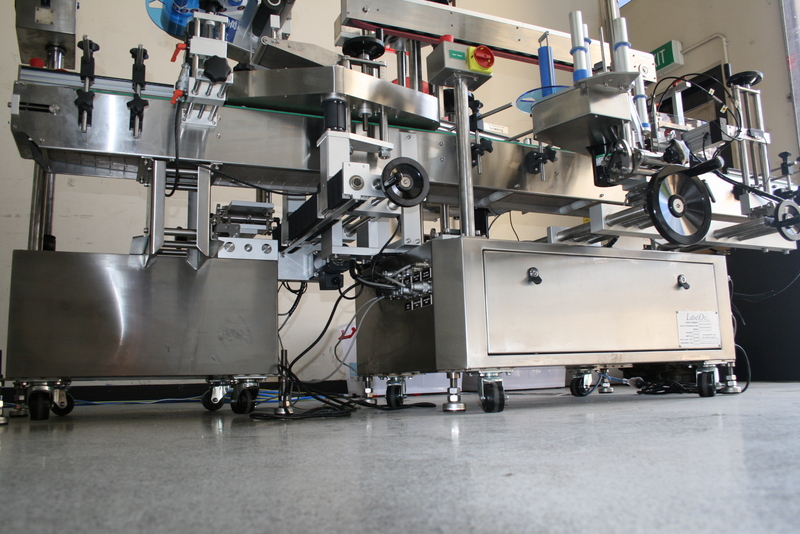 The Modular Machine Range is LabelOn™’s flagship labeling equipment. 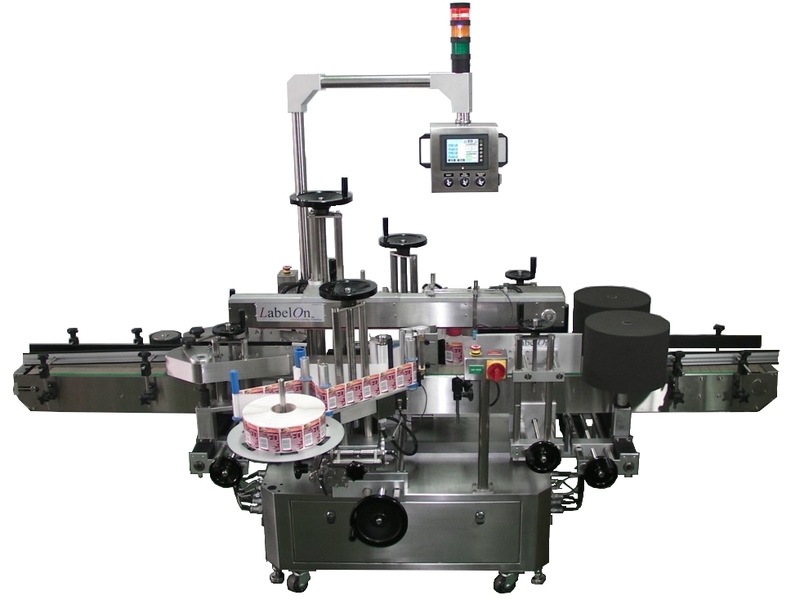 The breakthrough of LabelOn™ Modular machines is brought about by constant new trends and market advancements in the food and beverage industries where consumers and manufacturers call for their machinery to adapt technologically. 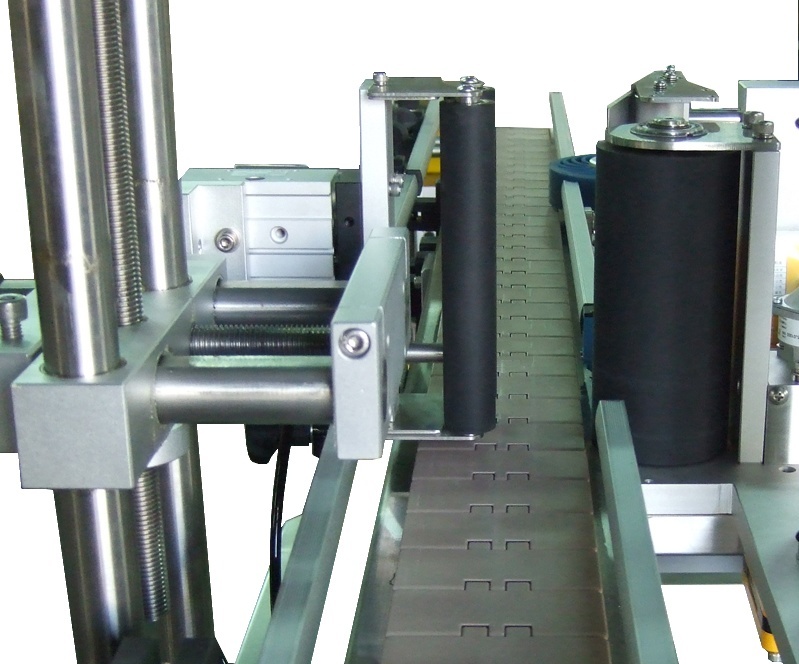 Our Modular Labeling Equipment are especially designed to satisfy these types of standards as well as make our customers get ready for perceived future challenges. Our machines are not only intelligent, they are multifunctional. 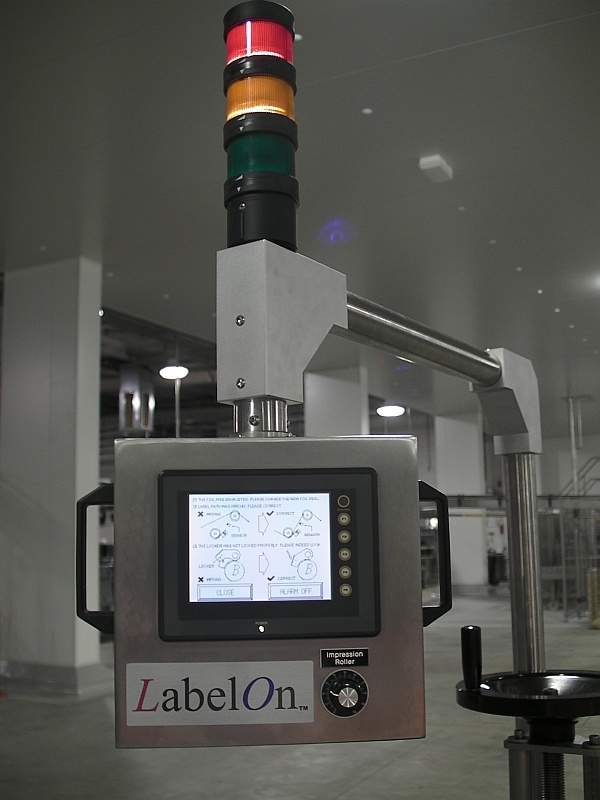 It is quite common for LabelOn™ Labeling Machine clients to enthusiastically unpack their new machine and run it ahead of the official machine commissioning. One reason for this is because they are aware that the machines were fashioned to be intuitive and very easily understood. 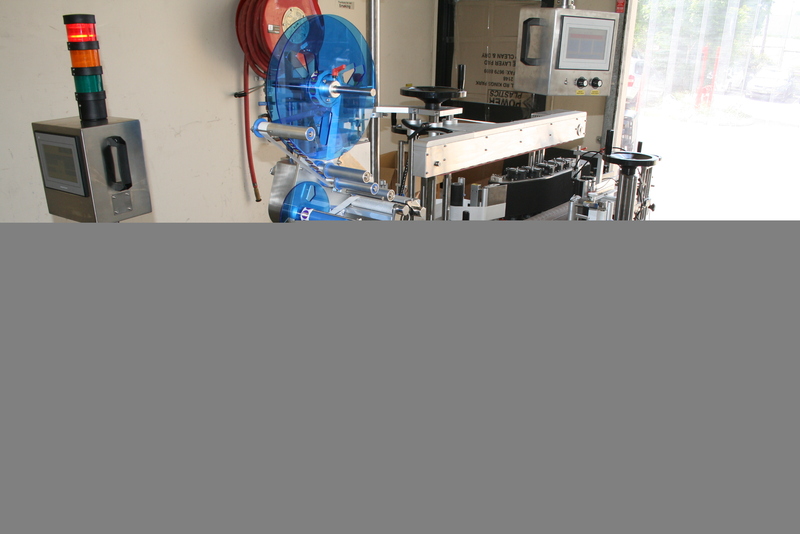 Even with no prior automated machine knowledge, the machines are very easy to set up and run. 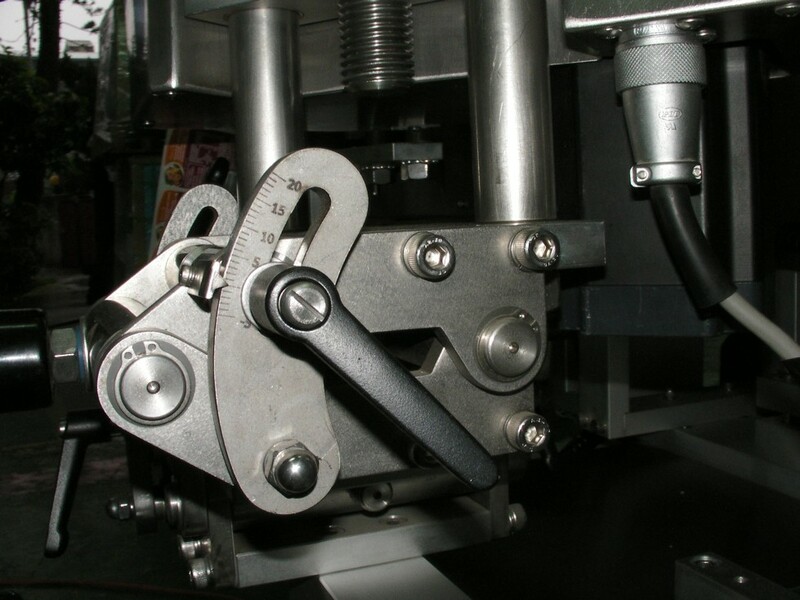 The core components of labeling accuracy from a machine are attributed to following: accuracy of label feeding, the accuracy of product control, the accuracy of product sensing and the accuracy of label control. 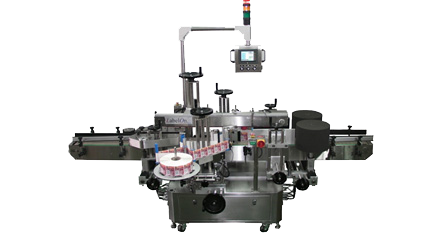 The LabelOn™ label applicator uses five phase stepping motors to give the best combination of smooth label feed and high resolution label position control for the label feeds. More basic two Phase stepping motors used on older design equipment get hot, they are noisy and they have far fewer stop positions as they turn to dispense a label. 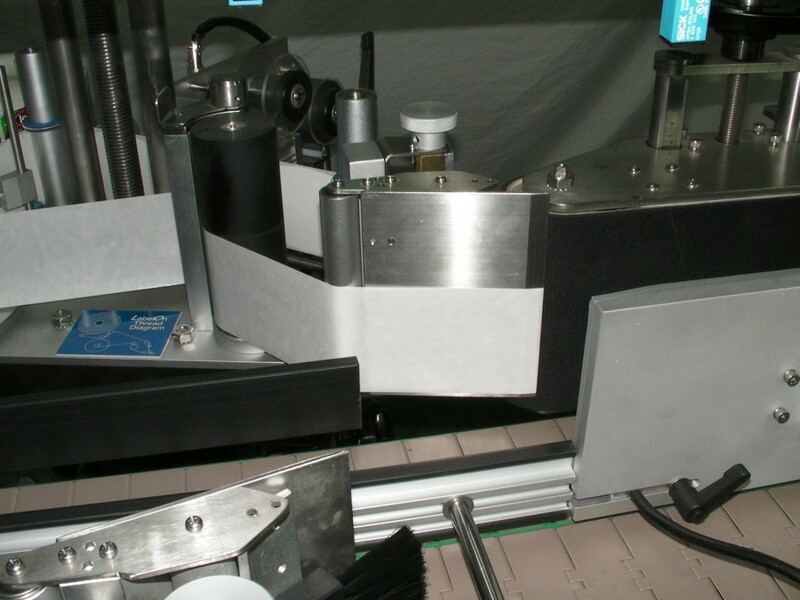 Compared to manual labeling or even semi-automatic labeling, an in-line pressure sensitive label applicator will typically lift labeling speeds from below 15 pieces per minute to up to around 80 products per minute for most applications. 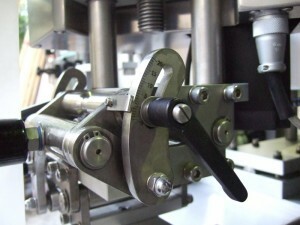 Some round products that require orientation and then labeling may typically be automated at between 35 and 45 pieces per minute. 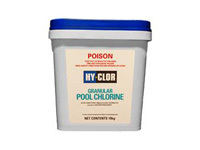 This can eliminate a bottle neck in your facility and allow for fast turnaround of medium and large orders. LabelOn™ Modular Labeling System is a new breed of labeling machines that raises the bar for simplicity, flexibility and good looks. A remarkably good fit for any medium to large size business, our machine configurations not only meet your current needs, but easily adapt to your business growth. 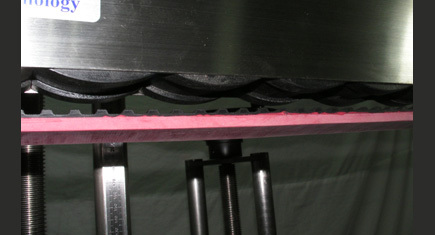 Whisper quiet, smooth operation makes our machines a pleasurable addition to your in line production. The LabelOn™ modular machinery is priced to knock out any serious competitors. 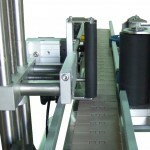 Aside from the quality and the machines capability, a number of different, easily interchangeable modules are available for all of your labeling requirements that are unlikely to be matched by equipment nearly two times its price. With LabelOn™ Modular label machines, configuration choices and changes are actual design objectives and not just second thoughts. 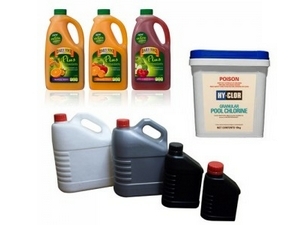 The label applicators were configured to cater for one or two labels on any container shape: round, flat, tapered or oval sided bottles. There is no reason to have this freedom unless it is a quick and simple changeover. 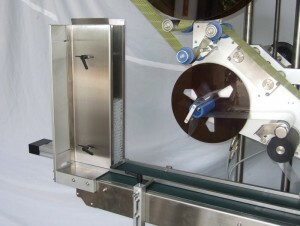 This overall flexibility is the product of an insightful and efficient design of the machine. Where other machines can take hours to change from one size or shape to another, the LabelOn™ Modular label equipment safely boasts that it only takes a few minutes to change from one shape and size to a totally different label application job. Another design objective of a LabelOn™ Modular label machine is the ease of maintenance. The electronics are NOT “hand wired” into position. The electronics are visibly and precisely labelled “modular” and can be removed with the marginal tools. The layout of electronics and how they can be accessed is made with regular or even large sized hands in mind. 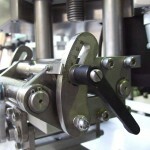 Our records enable problems initially relayed over the phone to be quickly narrowed down to an area of the machine where the assembly components of that area can be individually or collectively manipulated on a screen to pinpoint parts or adjustments that are needed to get the most out of your machine and its accuracy. 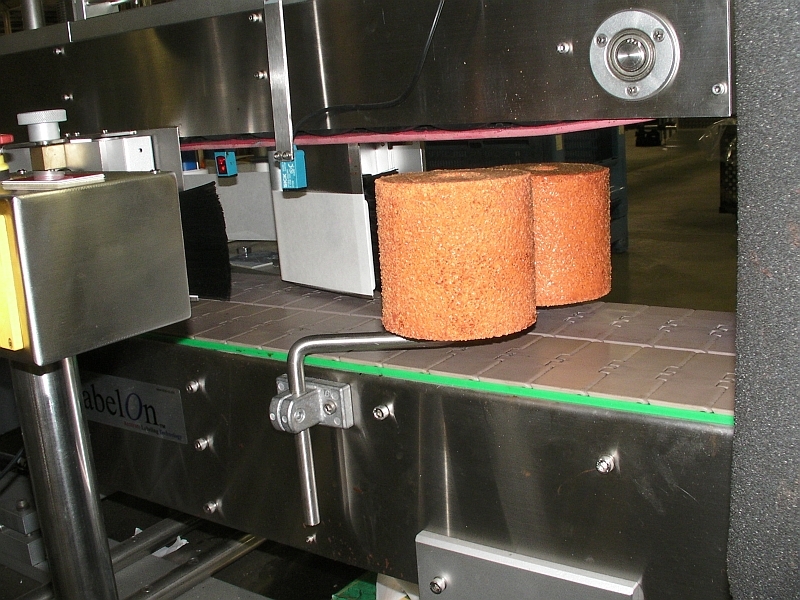 The service support of the LabelOn™ Modular label applicator is something that can be achieved from around the world or next door, thanks to the records kept on each machine and the use of web based technology implemented to provide support. Prior to manufacture, any updates are added to three dimensional records which can be recalled in no time by our team.